Being a pastor has its benefits, as well as its challenges. 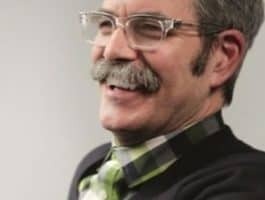 Bible counselor Paul David Tripp talks about the pitfalls unique to pastors and those in vocational ministry. Tripp recalls the struggles he experienced early in his ministry when the chasm between his life as a pastor and his real life as a husband and father became wider and wider. Though his wife voiced her concerns, Tripp says he didn't listen until he had almost destroyed his life and ministry. Tripp tells pastors how to recognize signs of burnout and other common problems of the heart. Bob: A pastor of a local church has to be more than a skillful Bible teacher. Paul David Tripp says he ultimately has to be a man of God. Paul: That person going into the ministry needs to understand that their ministry is never just shaped by their knowledge and skill—never! It’s always also shaped by the true condition of their heart. That’s why Paul says to Timothy, “Guard your doctrine and your own life as well. If you do that, you’ll save yourself and your hearers.” I was never told that. I was a good student—I did very well in seminary—but I had a big theological brain and a diseased heart—and I didn’t know it. Bob: This is FamilyLife Today for Friday, October 6th. Our host is the President of FamilyLife®, Dennis Rainey, and I’m Bob Lepine. We’re going to hear from Paul David Tripp today about why pastoring a church is a demanding and dangerous calling. And welcome to FamilyLife Today. Thanks for joining us on the Friday edition. I don’t know how many of our listeners know this; but we have, in past years, invited to our Weekend to Remember® marriage getaways, pastors and their wives. We have scholarshiped them to come / we’ve invited them to be our guests. But, really, it’s been because of friends of the ministry, who have provided the scholarship funding, in order for the pastors to come. I think one of the reasons why we’ve had donors do that is because they recognize that, in order for a pastor to effectively minister—on an ongoing basis—his marriage and his family needs to be strong and healthy. —at no cost—so that they could experience a weekend / hopefully, an oasis of spiritual refreshment and encouragement. Truthfully, Bob, I’m delighted—I am absolutely delighted—when pastors take us up on this. Of course, October is Pastor Appreciation Month. Maybe this would be a good challenge to you—to think about your pastor and about giving both he and his spouse a gift to the Weekend to Remember. Dennis: —kind of / I still think you’re a pastor. Paul Tripp joins us again on FamilyLife Today. Paul, welcome back. Paul: Hey, it’s great to be with you. Dennis: Paul was a pastor for more than 20 years—lives in Philly with his wife Luella. They have four grown children, and he’s written a book that I’ve had more than a dozen people recommend to me—it’s called Dangerous Calling. It’s a book written primarily to pastors—but also to missionaries—men and women, who are in ministry full-time. Why do you think the ministry can be so dangerous, Paul? Paul: I think there are several elements of this—maybe one of those is the way we train people for ministry. We allow theological students to get comfortable with holding the Bible—quite apart from their own hearts and lives—so it becomes an academic pursuit rather than a personal spiritual pursuit. Paul: —on an unrealistic pedestal that no human being should be on. All of that is a culture that is dangerous for a pastor to be in. I was in the middle of destroying my life and ministry—and I had no idea that that was going on. There was a huge separation between my public persona and my private life. My wife, Luella, would come to me—she did it in godly ways. I would wrap my robes of righteousness around me—I would tell her what a great husband she had. I told her that I thought her problem was just discontent, and I would pray for her. Paul: I said that. She informed me she was in the 5 percent. [Laughter] God—by His grace—rescued me. I would like to think that my story is unique but—as around the world I’ve told that story—I’ve had hundreds and hundreds, literally, pastors come and begin to confess. Out of my own experience and out of my concern for those pastors, I became concerned about the state of pastoral culture and the shroud of silence that covers pastoral culture. Paul: —let alone the person who is under the gun—being the culture-setter for a particular body of believers. —you know: “What does he do the rest of the week?” But the demands of ministry are both physically and emotionally exhausting; aren’t they? Paul: Sure. Where that leads is—and this, I think, needs to be taught more in seminaries. One of the things that has been heartening is—more and more seminaries have begun to use Dangerous Calling as a text / preparation text for ministry—because that person, going into the ministry, needs to understand that their ministry is never just shaped by their knowledge and skill—never! It’s always also shaped by the true condition of their heart. That’s why Paul says to Timothy: “Guard your doctrine and your own life as well. If you do that, you’ll save yourself and your hearers.” I was never told that. I was a good student—I did very well in seminary—but I had a big theological brain and a diseased heart, and I didn’t know it. —just the relentless demands that a pastor has—week in and week out—where it exposes that his heart isn’t healthy, and he can’t keep running. He, literally, runs out of juice. Paul: Yes; and in that way, burn-out isn’t the problem—it’s a symptom of deeper problems. In the book, I point to what, I think, are the fundamental dangers. One is the danger of familiarity. We would argue that to be familiar with the gospel is a huge grace. Paul: To stand up close to the gospel of Jesus Christ every day of your life is a wonderful thing. To be chosen by God to be a communicator of the gospel—who wouldn’t say, “This is the honor of my life!”? But familiarity is also a dangerous thing, because familiarity can wear me down—it can close my eyes / it can weaken my attention. Artists talk of this dynamic of visual lethargy. What that means is—the more you see an object, the less you actually see it; because you think you’ve seen it, you quit looking. So, you’re driving to your office, as a pastor, the first—your first week at this church. To get from your home to your office at church, you have to drive this wooded road. That first day, you just look at those beautiful trees—you think, “What a beautiful drive this is!” Six weeks later, you’re pounding on your dash, “This traffic drives me crazy!”—and you haven’t seen a tree in three weeks. The danger of familiarity is that I would lose my awe of God and my awe of His grace. I think there is a tremendous amount of pastors who are just cranking it out. They’ve long since lost their awe. The problem with that is—awe of God is meant to be the principle motivator of every human being’s life. What the worship service is meant to do is rescue people—give them back their awe of God again. Paul: I’m in the service—in the sermon, I want to rise out of my chair and say: “Yes! I want to serve that God! I want to serve Him!” Well, it’s very hard to give that away if you don’t have it yourself. Paul: I am tired of hearing boring, theological, exegetical lectures by preachers who’ve long since lost their awe. They don’t say: “Oh, how gorgeous is His love! How wonderful His grace!” I need awe inspired in me every day, and that’s the job of the church of Jesus Christ. Dennis: I’m going to use an illustration of a man, who was not perfect—but what every one of his sermons had—I don’t remember him ever preaching a sermon that didn’t have a phenomenal awe of God and also a heart for God—a love for God / a worship of God—that was not just embedded / it leaked out of the message. In fact, he would give some of the sermons 10, 15, 20, 30, 40, 50 times; because I heard him preach over a 30-year period. Dennis: We sometimes wondered, “Don’t you have another sermon? !” [Laughter] Why did we keep listening to him?—it’s the antithesis of what you just described—because he was in love with Jesus Christ. Now, he didn’t follow Him perfectly—but I tell you what—he did a pretty good job of attempting to be a disciple of Jesus Christ and pass the real disease on to others of us. Paul: Yes; that’s Psalm 145: “One generation shall speak of your works to another.” I think you could argue that one of the things that makes a powerful sermon powerful is you’re watching the preacher worship his way through his own sermon—he gets caught up in the glory of God / in the beauty of God’s grace again. It’s very hard, in ministry, to give away that which you do not have yourself. One of the symptoms of a lack of awe in a pastor is mediocrity—when you allow yourself to not be properly prepared—when you’re starting your sermon on a Saturday afternoon. You know, you don’t have enough time for your heart to be gripped—to be able to be ready to speak that in a way that will inspire awe of others. 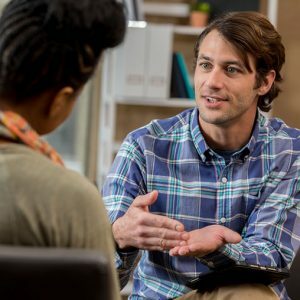 When you’re counseling out of your hip pocket, without ever thinking and praying about it / when you’ll wing it in an important leadership meeting—you don’t have a schedule problem; you don’t have an “I don’t know how to run a meeting,” problem; you don’t have an “I don’t know how to construct a sermon,” problem—you’ve got an awe problem. There’s a direct relationship between awe and excellence in ministry. It undoes him. That’s the kind of pastor I want—who’s not undone by guilt—he’s undone by the glory of God, and he wants to give that to the people that he ministers to. He said: “There’s not really anybody in the town where I live where I can have that kind of transparent relationship. It’s a small enough town that”—like you said—“what can the pastor…”—if the pastor shares his real-life issues, he may get run out of town for that. I thought it was wise of my friend to cordon off this time—spend the money on the plane ticket and the hotel—and go do this with other guys. Too many pastors are living in isolation; aren’t they? Paul: Yes. That’s why it’s not enough to say that the pastor needs to examine his own heart and say, “Has familiarity changed me?” There needs to be a culture change to take place in the local church. Let me just speak to that for the second temptation / danger—it’s the danger of arrival. It’s very easy—with a high level of theological understanding and biblical literacy of the average pastor, with the huge amount of resources that are available to me—to think of myself as spiritually mature. “I’ve arrived—I know it all.” That’s an invalid place to look for your definition of maturity. What that does is—you have the combination of my own assessments of arrival and the body of Christ putting me on a pedestal. No wonder, then, I’m comfortable living in isolation from the essential sanctifying ministry of the body of Christ. Paul: Right! The most influential name that we could generate, right now in the evangelical church, is but a God-gifted—we would want to mention that—a God-appointed member of the body of Christ. Part of the reason for remembering that is the deceitfulness of sin—sin blinds. Guess who it blinds first? I’ve never had any trouble seeing the sin in my wife and children. As long as there’s sin in me, there will be pockets of spiritual blindness. I would like to think that no one has a more accurate view of me than I do, but it’s just not true! So, I need the intervention of the body of Christ, as a pastor. I need help seeing myself with accuracy. Dennis: And you’re never going to get that perspective of yourself in isolation. Bob: I’ve heard somebody say your walk with God is a community project; right? —so much of the expectations of me in ministry don’t preach that truth to me. Paul: They preach the opposite. —my identity and success, size of the church, power and prominence. What that will create is driven-ness: “I’ve got to get more,” “I’ve got to get more,” “I’ve got to do more,”—never enough accomplishment—because those are fleeting identities. It’s not that God has called me to two things that I can’t do at the same time. It’s that I’m wanting something out of one—that makes me neglectful of the other. Paul: It makes me make bad choices. I mean—he had me. I needed to hear those words, because I was obsessed. It had nothing to do with the honor of God—it was my pride! Bob: So what did you do that weekend? Paul: I went home. I studied for a couple of hours for the test; I put the stuff away; and I enjoyed my family. Dennis: Do you remember what you made on the test? Paul: No. [Laughter] Maybe that’s the point. Paul: I don’t remember, because I was so relieved of the burden. I knew I wasn’t going to fail this program—it didn’t have anything to do with that. It was pride in ministry—it was identity in ministry that was going to set up that tension—make my wife and children feel like they were the sacrifices of ministry—they were the abandoned ones. Early in the formation of FamilyLife, we were doing these Weekend to Remember marriage getaways; and I was wanting Barbara to go with me and do more. At that moment, I was faced with whether I would embrace the advice of my mentor or ignore the voice of my wife and just keep going and outrun the troops. I’m convinced this was a key turning point—probably, in our marriage and our ministry—because we decided, at that point, I wouldn’t try to drag her all over. We would put a limit on the number of times we spoke, and we would build a speaker team. Dennis: It came out of realizing that my wife is a gift from God and designed for me to accomplish everything that God desires for me to do in life and in the ministry He’s given us—and not railing against that and not pushing back against that. Paul: Because God is not glorified if my children are questioning the faith because the faith is taking their daddy from them. Who would ever argue that glorifies God? Dennis: No doubt about it. I’m grateful for you writing this book, Dangerous Calling. It really is a dangerous calling, whether you’re a pastor or in ministry. I just appreciate your advice and your exhortations to all of us here. No one has done it perfectly, and we sure don’t want to do life isolated. It is very dangerous. Paul: I write and speak out of my own need. I feel rescued by the message that I am writing. Praise God for that. Bob: Well, I’ll tell you what—I think your transparency is going to help a lot of people. I think this book is a gift for every pastor. Some of our listeners may want to get a copy of the book and pass it on to their pastor—especially, here, during Pastor Appreciation Month. Dennis, I think some of our listeners may want to scholarship their pastor to a Weekend to Remember marriage getaway. You can find out more about Paul David Tripp’s book, Dangerous Calling, or about how you can scholarship a pastor to an upcoming getaway. Go to FamilyLifeToday.com for more information; or call us—1-800-FL-TODAY is our number. You know, we’re convinced that the work of a local church pastor—and the work of the local church—this is the frontline in what God is doing in our country today. It’s the church that the gates of hell will not prevail against. As a ministry, we want to do all we can to help support the work of the local church. In fact, as we talk with you about our financial needs, here, at FamilyLife, we want to make sure that you are never diverting funds from your local church to our ministry. We believe that your local church should be your first and primary place where you are supporting the work of the Kingdom. Beyond that—as you’re able to help ministries, like FamilyLife Today, you enable us to reach more people more regularly with the kind of practical biblical help and hope that you hear on this radio program. We’re grateful for those of you who do help fund this ministry. If you’re able to make a donation today, we’d love to say, “Thank you,” by sending you Dennis Rainey’s new book, which is called Choosing a Life That Matters. You can request the book when you donate, online, at FamilyLifeToday.com; or you can call to donate at 1-800-FL-TODAY. You can also mail your donation to us at FamilyLife Today at PO Box 7111, Little Rock, AR; and our zip code is 72223. Before we’re done today, please remember to pray for the Weekend to Remember getaway that is taking place this weekend in Augusta, Georgia. Next weekend, we’ve got getaways happening in Sacramento, California, and Fort Myers, Florida. Pray for the couples who will be attending these getaways. If it’s been a while since you’ve been to a getaway, be sure to check it out at FamilyLifeToday.com—we’d love to have you join us, this fall, at one of our upcoming getaways. We hope you have a great weekend this weekend. Hope you and your family are able to worship together in your local church. And I hope you can join us back on Monday when we’re going to talk about letting go. I’m not talking about a song from Frozen; I’m talking about letting go of bitterness, or resentment, or unforgiveness. Dave Harvey and Paul Gilbert are going to be with us—hope you can be with us as well.